I thought i would update the blog on the candidates I know have applied for the next Executive Director of UNEP. How about like ILO the shortlisted candidates should have to hold a hustings in New York for member states and stakeholders. What is their vision of UNEP? First a few comments on my thoughts ont he issue. The present debate in the UN on 'fit for purpose' is very important as many UN organizations, including UNEP, are run like late 20th Century multilateral organizations with very vertical mandates and institutional structures. The new Executive Director will need to create a more networked organization and this includes a real partnership with stakeholders. Is this possible? At the moment at UNEP there are problems around stakeholder engagement on the engagement rules with the new UNEA. It is sad to see the discussions in Nairobi on stakeholder engagement at times it seems to be going back to pre Rio 1992. Hopefully this will be resolved in May positively. If UNEP is to be relevant then it needs an effective partnership with stakeholders in both policy development and implementation. This may now become an issue for the new Executive Director. One of the real challengers for UNEP is when they successfully secure a convention in a particular area that work then moves to the new body and UNEPs role is diminished. A way of reversing this would be to have UNEP as an umbrella overseeing a clustering of the conventions around a number of themes such a chemicals, biodiversity, climate, oceans and seas. There is work to be done in continuing the clustering of conventions. Learning lessons from the experience of clustering the chemical conventions and then trying to accelerate the clustering of the biodiversity conventions. With UNEP acting as an umbrella there could be a number of benefits: . Methodological framework utilizing indicators building on the ones developed for the SDGs and expanding to areas not covered by the SDGs. The UNEA could then play a critical role in dealing with inter-linkages between the conventions. The new Executive Director should continue to strengthen the science base of UNEP. The introduction of a UNEP Chief Scientist was one of the important decisions taken under the present ED. The strengthening and increased funding of the Department of Early Warning and Assessment and its great products: including my favorite, the Global Environmental Outlook Report is needed. Often the products are great but the funding for outreach of them to key policy makers is not. I say this having had the pleasure of helping when I was Executive Director of Stakeholder Forum launching the GEO 2,3 and 4. In all cases there was very little money to take the product to the people who needed to see it. Finally the new Executive Director may have to deal with a situation similar to 1993 where most Ministers will focus their work around the High Level Political Forum as they did around the UN Commission on Sustainable Development. With the United Nations Environment Assembly now meeting every other year is there again a need for on the other year Environment Ministers meeting? Could this be focused on the inter-linkages between the different conventions? Back to the main reason for this blog, which is to look at the candidates for Executive Director of UNEP. One of the clear requirements should be that they understand the 'insider UN game' to be effective but also that they can positively manage the external political complexities of working with the many stakeholders that could be part of a networked UNEP. The danger is if the wrong person is picked then UNEP may become irrelevant to the post 2015 agenda. I believe that UNEP’s next Executive Director should come from a developing country. Since my last blog the job of Executive Director has been advertised and these are the candidates i know have applied. IbrahimThiaw (Mauritania) present UNEP Deputy Executive Director. He took office in August 2013 as the Deputy Executive Director for the United Nations Environment Programme (UNEP) prior to his appointment as Deputy Executive Director. 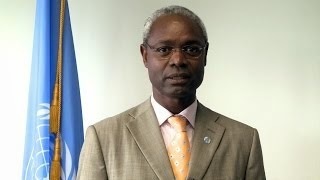 He served as the Director of the Division of Environmental Policy Implementation (DEPI).. Before joining UNEP in 2007, he worked as the IUCN Regional Director for West Africa and later as the Acting Director-General of IUCN. Perhaps the most interesting is:Ambassador Macharia Kamau (Kenya) has guided us through the Sustainable Development Goals Open Working Group with Hungarian Ambassador Csaba Koros to an agreement on the 17 SDGs a task of considerable patience and leadership. Now then took us through the intergovernmental negotiations on the Post 2015 Development Agenda with Irish Ambassador David Donoghue - one cant but be impressed with these achievements. In the run up to Rio+20 Kenya (He was chief negotiator as the then Ambassador to UNEP) and Italy led the GA UNEP delegated International Environmental Governance process that was the precursor to the creation of the UNEP Assembly. 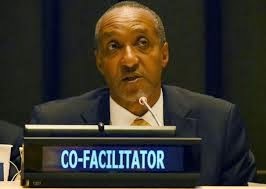 In addition to his diplomatic assignments, Ambassador Macharia Kamau was International Consultant to the Bill and Melinda Gates Foundation and the United Nations AIDS. He has vast experience at the United Nations where he served for over twenty five years mostly in senior management positions at the UNDP, UNICEF and UNTAG. During this period, he was deployed in various countries in Eastern and Southern Africa as well as the Caribbean. Adnan Z. Amin (Kenya): is Director General of the International Renewable Energy Agency viewed to have done an excellent job at IRENA . 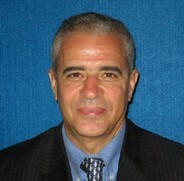 Adnan served as Head of the UN System Chief Executives Board for Coordination (CEB) Secretariat. In this function, he was responsible for overseeing the Secretariat supporting the CEB in its UN system-wide policy coordination under the Chairmanship of the UN Secretary-General and comprising the Executive Heads of UN System organisations. The CEB is the highest level interagency coordinator framework in the UN system and oversees UN coordination on Policy, Management and Field Operations. He was also Executive Director of the Secretariat of the Secretary-General’s High Level Panel, co-chaired by the Prime Ministers of Mozambique, Norway and Pakistan, on UN System-wide Coherence. e Director of the New York Office of United Nations Environment Programme (UNEP) and Special Representative of the UNEP Executive Director. Dr Ahmed Djoghlaf (Algeria) was the ADP Co-Chair for the negotiations of the Paris Climate Change Agreement. 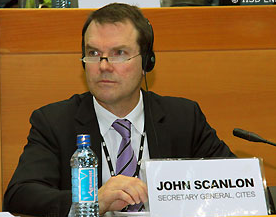 He is the former Executive Secretary of the Convention on Biological Diversity (CBD) in January 2006. He was previously Assistant Executive Director of UNEP and prior to that was Director and Coordinator of UNEP's Division of the Global Environment Facility (GEF), where he played a key role for seven years, raising UNEP's profile and increasing the portfolio from six projects worth US$ 28 million to 600 projects worth more than US $1 billion in 155 countries. He was the General Rapporteur of the Preparatory Committee of the UN Conference on Environment and Development (UNCED) of 2002 - better known as the Rio Summit; Vice-Chairman of the Eleventh Session of the Intergovernmental Committee on Science and Technology for Development; Vice-President of the Negotiating Committee on the Framework Convention on Climate Change, as well as Chair of one of the two negotiating committees of the Convention to Combat Desertification. Prior to joining the United Nations, Dr Djoghlaf was adviser on environmental issues to the Prime Minister of Algeria and, prior to that, to three Ministers of Foreign Affairs of Algeria. John Scanlon (Australia), has worked on environment and sustainable development issues at the international, national, sub-national and local level with government, the private sector, international organisations and the United Nations. He has specific expertise on law, policy, institutions and governance. He is the Secretary-General of the Convention on International Trade in Endangered Species of Wild Fauna and Flora (CITES). 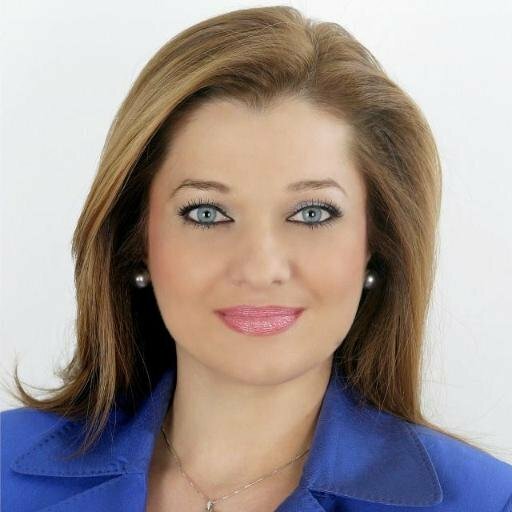 Dionysia-Theodora Avgerinopoulou (Greek) is a Member of the Parliament of Greece where she is President of the Environment Committee and the Watercourses Sub-Committee. She is an influential politician regarding environmental matters, a specialized attorney in International, Environmental and Sustainable Development Law, and the recipient of the Green Star Award awarded by UNEP, OCHA, and Green Cross International for her leadership in prevention, preparedness and response to environmental emergencies.She is a US Special Congressional Recognition, the Global Citizenship Award for Leadership in Assisting Humanity, and the Goddess Artemis Award by the Euro-American Women's Council. 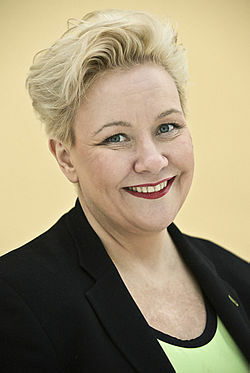 Sirpa Pietikäinen (Finland) is a Finnish politician from the National Coalition Party. She is a Member of the European Parliament since 2008, and re-elected in 2009. She is a former Member of Finnish Parliament, former Minister for the Environment (1991-1995). Pietikäinen was the Chair of Finnish United Nations Association between 1996 and 2007. Pietikäinen was the World Federation of United Nations Associations chairwoman between 2000 and 2004. She has also worked for the International Institute for Democracy and Electoral Assistance and One World International. Jochen Flasbarth (Germany) Since 2013 State Secretary at the Federal Ministry for the Environment, Nature Conservation, Building and Nuclear Safety.Former President of the Federal Environment Agency (2009-2013) and Director-General for Nature Conservation and Sustainable Use of Natural Resources at the Federal Ministry for the Environment, Nature Conservation and Nuclear Safety. From 1994 to 2003 he was Full-time President of the Nature and Biodiversity Conservation Union (NABU). 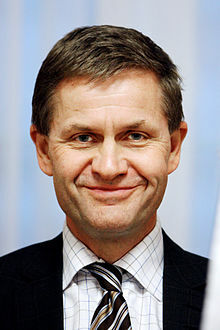 Erik Solheim (Norway) is a Norwegian politician for the Socialist Left Party (SV). He was appointed Minister of International Development in 2005 and also Minister of the Environment in 2007, and sat in both offices until 2012. Solheim was leader of the Socialist Youth from 1977 to 1981, party secretary from 1981 to 1985, and member of the Parliament of Norway from 1989 to 2001. Stoltenberg is unlikely to want to quit his position as SG of NATO....And Piebalgs left as the EU Development COmmissioner a year ago..
What do you think of Ismail Serageldin as a very potentiual candidate to propose. Dr. serageldinwas was the Vice Chairman for Environment and Special Projects at the World Bank for many years and now the Director of Bibliotheca Alexandrina who has put it on top of many great and old linstitutions. Skog: Stolenberg isn't on the list. Salah: Ismail is a competent person, but do we want someone who is supporting military dictatorship that the UN says is responsible for more human rights abuses than any government in Egypt since independence? Felix: Dr Ahmed Djoghlaf is a nice guy, but he made the decision to exclude Observers (civil society) from the ADP and then from COP21 when the climate negotiations really got underway. Will he bar NGOs from UNEP, despite its rules and reputation? For whatever its worth I think it is between Thiaw, Kamau, and Amin the rest are outsiders in my view. It deserves to go to a sub-Saharan African and of the two Kamau has te government connections to pull it off. Although maybe Tedros won't like that asit might complicate his bid for WHO DG. I dare you to make a prediction, Felix or any one else following! If NGOs had to put a candidate forward who would it be? I'd like to see see the Sudanese Lumumba Daping or Maldives Maryim Sakeela...both former diplomats/ministers, but both now strong civil society advocates. Heard five candidates were short-listed by the SG out of the above listed by you. Erik Solheim maybe the most qualified, but his selection can lead to 26 years of European heading that agency. Considering that deputies are rarely promoted to head the same agency in the UN system and host country nationals also do not head agencies in their country, Ahmed Djoghlaf stands the best chance to be the next head of UNEP.